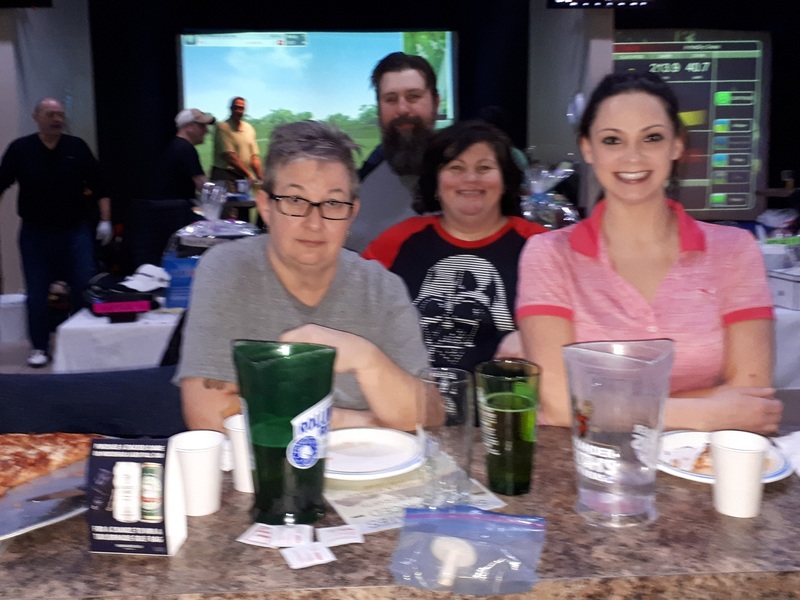 Lifelong Essex County resident, small business owner, and avid golfer, Jeff Griffin, recently lost his leg due to a medical complication. 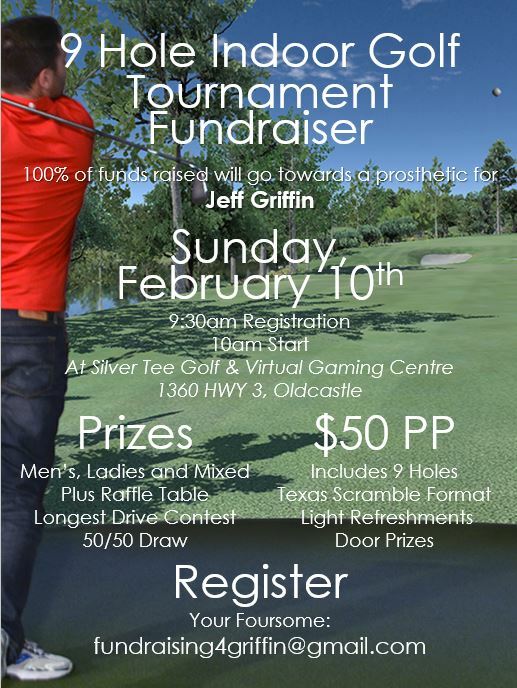 The 18 hole event is fully booked, so in an effort to raise funds for a prosthetic for Jeff Griffin, an earlier 9 hole scramble event will be held on Sunday, February 10th, 9:30am registration, 10am start. 100% of the proceeds of this tournament will go to help pay for Jeff’s prosthetic. In the event excess funds are raised, that money will be donated to someone locally in the same situation as Jeff. 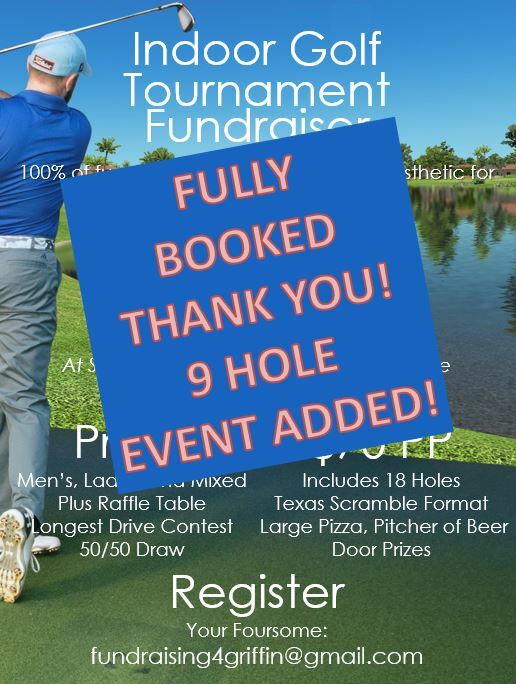 Please join us at Silver Tee on Sunday, February 10th for an 18 hole, scramble format indoor golf tournament. 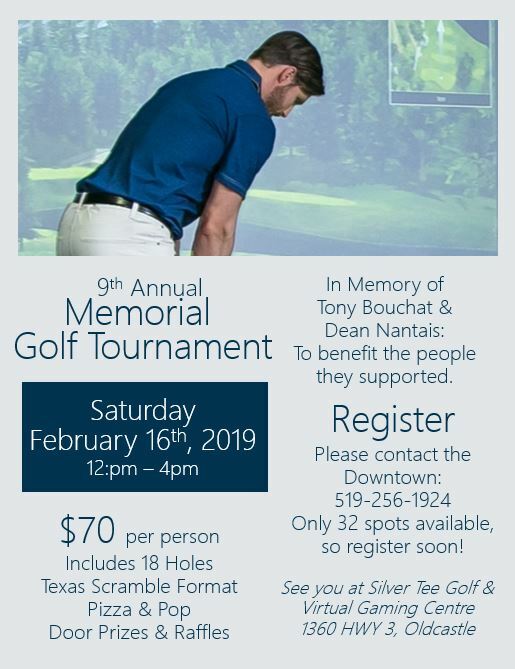 It’s time for the 9th Annual Memorial Golf Tournament, in memory of Tony Bouchat and Dean Nantais. All proceeds will benefit the people they supported. Join us on Saturday, February 16th: This will be a great time, for a fantastic cause!